What is asbestos, and why is it dangerous? 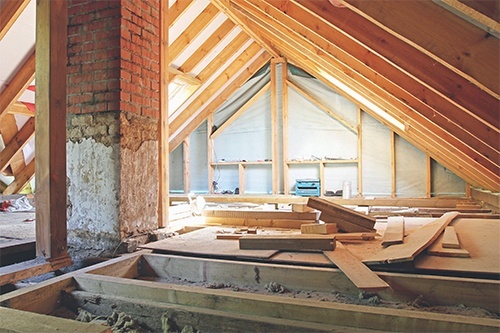 Asbestos was a widely used building material up until a few decades ago, because of its durability, heat and fire resistance, and its capacity for insulation and erosion prevention. As science and technology evolved, it was found that the mineral fibres in asbestos cause serious health problems when they’re inhaled, and asbestos use stopped in most developed countries. Sadly, the discovery came too late for a great number of people who have already been exposed, because there is no cure for asbestos-related disease. Asbestos exposure can cause a broad range of dangerous conditions and untreatable cancers, including lung cancer and asbestosis (scarring and thickening of the lungs, accompanied by shortness of breath and loss of lung function), mesothelioma and gastrointestinal cancers, and heart disease. The degree of exposure can affect the severity of symptoms in each person, and all types of asbestos are known to cause all of the related diseases. While the use and production of asbestos has now ceased in Australia, many of our older buildings still contain asbestos products. They are not known to be dangerous when they are intact, but they can cause danger when they are exposed during activities like demolition and construction. Our bodies can’t break down or remove the fibres in asbestos once they have entered. 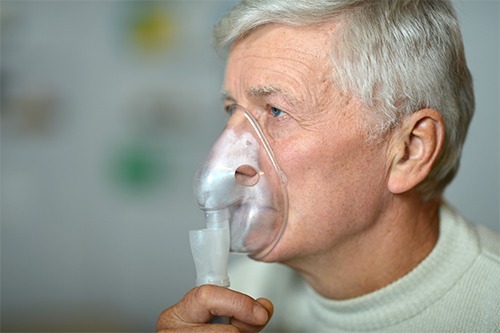 They can be breathed in or swallowed, which is why the most common health issues following exposure are lung cancer and asbestosis, and mesothelioma and gastrointestinal cancers. Asbestos can cause chronic, non-cancerous, incurable and degenerative respiratory diseases, including asbestosis and emphysema. Because it scars lung tissue, it causes symptoms including progressively worsening breathlessness, and sometimes cardiac failure in the end stages of the diseases. These diseases are directly influenced by the degree of exposure the person has had to asbestos, which is why they mostly affect people who have worked with asbestos, and affect their family members or other people to a much lesser extent. Asbestos also causes a variety of cancers, especially lung cancer and mesothelioma. People who were involved in manufacturing and using asbestos in industries like mining and textiles where they were exposed to large volumes of asbestos are at a much higher risk of these cancers. Asbestos-related cancer is also known to occur much more often in people who are also exposed to other carcinogens, like cigarette smoke. Asbestos is also known to cause cancers in the oesophagus, larynx, stomach, colon, and kidney. Where can you be exposed to asbestos? Asbestos and all products that contain it were banned across Australia in 2003, but some products already in place were allowed to remain there until they need to be replaced. This means that many buildings still contain asbestos, which can be in ceiling or floor tiles, shingles and roofing, and fire doors. Asbestos is usually only considered harmful when it’s releasing dust and fibres into the air that can be inhaled or swallowed, so it’s thought to be safe when it’s intact. But when it is broken or exposed (particularly in demolition and construction) it becomes dangerous. It may also be found in building and pipe insulation, friction products like brake shoes, fire-resistant bricks, fireproof cloth, and cement water pipes. So particular care should be taken to prevent exposure wherever old buildings are being renovated, demolished, or showing signs of deterioration. Because younger people are at a greater risk of asbestos-related disease, it’s particularly important to protect children from asbestos exposure. The government has taken serious measures to prevent school children from being exposed to asbestos in school buildings, but it’s also important to protect them from exposure in other places, like home renovations. How do you handle asbestos? The people most at risk of asbestos exposure are those in construction. Asbestosis is most dangerous when it is friable (crumbled into powdery form where its fibres become airborne). 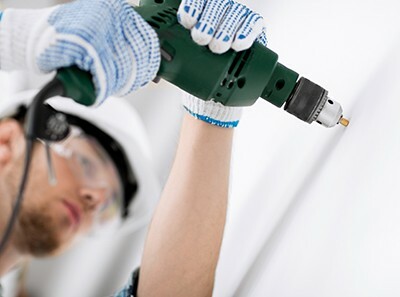 This can occur during the physical impact from demolition and building, from drilling, sawing, cutting, smashing, or even age-related deterioration and water damage. This is why it’s so important to be prepared to deal with asbestos when removing old bathroom fittings, tiles, and fire doors from older buildings when renovating. Asbestos must be disposed of according to the standards outlined by the Environment Protection Authority (EPA). There are rules about handling, transporting, and disposing of asbestos-containing waste to ensure that everyone who could potentially come into contact with asbestos is safe. While there are certain precautions you can take in your home to minimise contact with asbestos, it’s safest to rely on a team of professionals who are experienced in handling it. Contact Excel Asbestos Removals QLD anytime for advice and assistance with asbestos testing, removal, disposal and management plans, and we’ll be happy to help keep you and your people safe.